Scleroderma has been associated with increasing symptoms of reflux disease. Scleroderma is a rare disease caused by the immune system attacking the connective tissue around blood vessels and under the skin. Its name derives from the Greek words skleros, which means hard, and derma, which means skin. 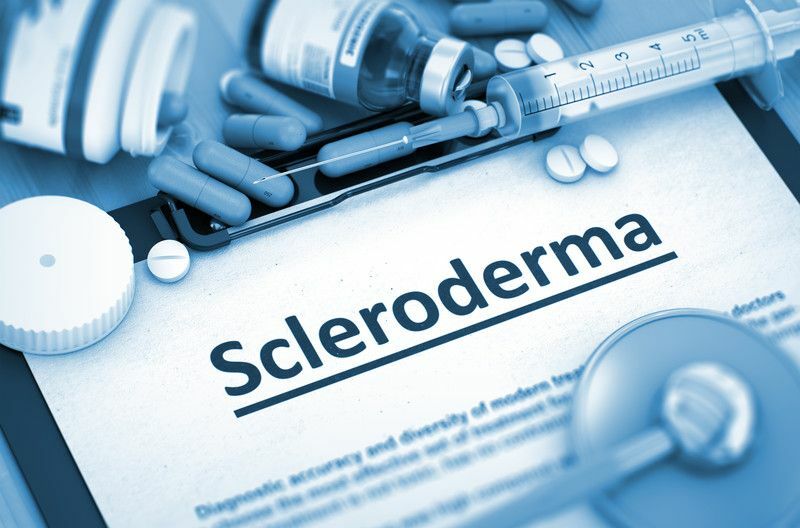 Known also as systemic sclerosis (SSc), scleroderma can cause scarring and thickening of the tissue in these areas thorough a build-up of collagen. The British Society of Rheumatology says manifestations of SSc in the gastrointestinal tract are common. It occurs in 50 to 90 per cent of patients and one of the most commonly affected organ in the body is the oesophagus. A new study says problems with the oesophagus typically affects ‘one-third’ of scleroderma patients. The study – Esophageal Motor Abnormalities in Patients With Scleroderma: Heterogeneity, Risk Factors, and Effects on Quality of Life -was published in the journal Clinical Gastroenterology and Hepatology. How is it connected to reflux disease? When the muscles in the oesophagus become scarred by scleroderma, they may not contract normally and prevent food from moving downwards. This can cause severe heartburn and other symptoms of gastro-oesophageal reflux disease (GORD), such as regurgitation, difficulty swallowing (dysphagia) and tooth decay. Long-term complications can include oesophageal ulceration and Barrett’s Oesophagus, a risk factor for oesophageal cancer. In some cases, scleroderma affects the lower oesophageal sphincter – the stomach valve which allows food to pass through from the oesophagus to the stomach. Symptoms, such as dysphagia, heartburn, nausea, and vomiting, are typically investigated using endoscopy, pH testing and barium swallow (where you swallow liquid barium before having an X-ray). Peptest is a new alternative for non-invasive diagnosis of reflux as the cause of these symptoms. Treatment for scleroderma is typically aimed at relieving symptoms so PPIs, such as Omeprazole, may be used to help with the reflux symptoms, such as heartburn. You may also be prescribed medication to improve circulation, suppress the immune system and potentially steroids to relieve joint and musce problems. With the impending law suit in the US against the manufacturers of PPI for causing Chronic Kidney Disease, Heart problems, and calcium deficiency induced bone fractures, I would not include PPI as a beneficial agent with this condition.